The key to Control4 Home Automation system is simplicity. From installation to operation and learning exactly how to make the most of all the features offered, we like to keep things as straightforward as possible. It’s easy to get carried away highlighting the technical power behind the Control4 system, and members of our customer support team are always more than happy to explain exactly what technology we use and how it delivers. For the end-user, however, we understand that the nuts and bolts of Control4 are far less interesting that what it can do to transform your home. In simple terms, a Control4 system will pull together all of the technology in your home, all of its systems and equipment, and put instant control in the palm of your hand. Via a simple controller or touchscreen interface, customers can synchronise the entertainment, heating, lighting and security devices in their home with a few quick and simple adjustments. Whether it means checking a camera to make sure your home is secure, tweaking the heating or adjusting the bass on your multi-room sound system, Control4 can make it happen. The fact that Control4 is partnered with some of the best and most respected hardware companies on the planet means that we can build exactly the system you want, using the equipment you need. From initial contact we work closely with clients, using videos, images and previous client experiences to explain exactly what the system is capable of delivering, how it works and what you can expect from it. Your local dealer will provide equipment which comes ready to install, and your Control 4 system is able to grow and change with your requirements, as your home and family circumstances alter. 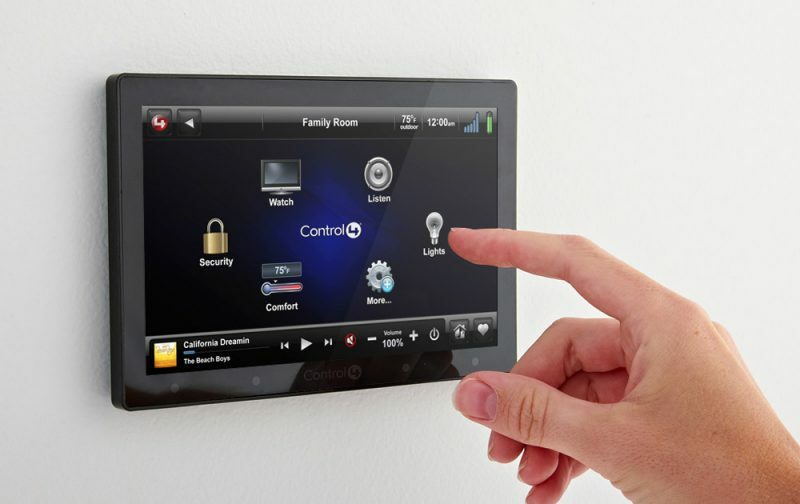 Control4 turns your home into a smart-home, using technology to enhance comfort, convenience and security. It’s flexible enough to match your exact needs today, and keep on matching them tomorrow, and it makes the dream of complete control over your home environment an achievable reality. Contact us today, and we’ll start the process of transforming your home and life.